Have you ever wondered if too much sitting down is bad for your health? Or do just want to read an article in a recent computer magazine? 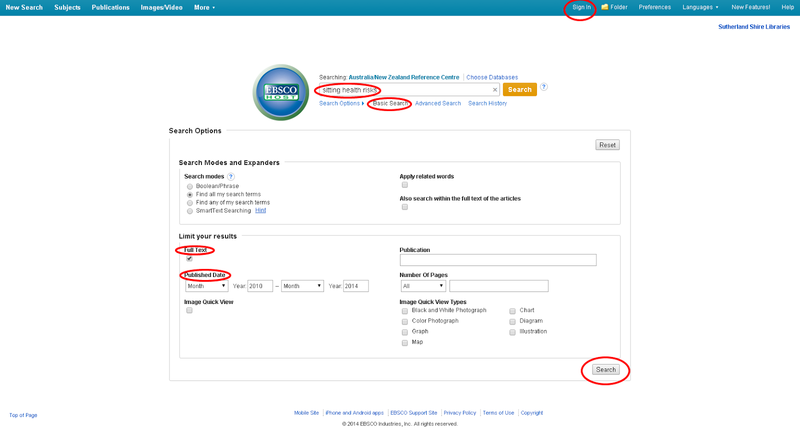 You could do an Internet search and find an answer but if you need a more scholarly article or want to read a particular magazine Sutherland Libraries can help you to access 1000s of science and technology magazines and other subjects online. Databases are free to use with your library card or at any Sutherland Shire Library. The articles on these databases are text only. 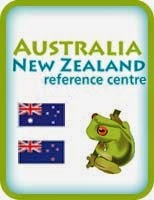 Access popular Australian/New Zealand and overseas magazines, reference books and biographies in full text along with an Image Collection of over 510,000 photos, maps and flags. Some of the more popular magazines and newspapers included on this database - Architecture Australia, Australian Geographic, Australia PC User, Belle, Bulletin, Economist, Motor, New Scientist, The Australian, Daily Telegraph, Sunday Telegraph and Sydney Morning Herald. This database offers a collection of full-text information from over 2,100 magazine in many subjects such as animal science, anthropology, astronomy, biology, civil engineering, electrical engineering, ethnic and multicultural studies, food science and technology, geography, law, material science, mathematics, mechanical engineering, music, pharmaceutical science, physics, psychology, religion and theology, veterinary science, women's studies and zoology. Find full-text articles on general reference, business, health, education, general science, multicultural issues and many other subjects. 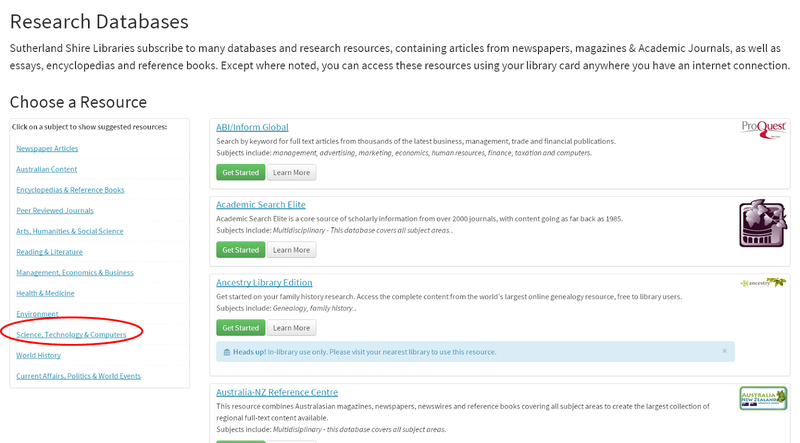 This database contains full-text articles for hundreds of science encyclopedias, reference books and other sources. Subjects covered include biology, chemistry, earth and space science, health and medicine, history of science, life science, physics, scientists, technology and wildlife. The start screen of a database will include features such as subject, publication and image options. You can choose to do a basic or advanced search as well as limiting or expanding your search to suit your needs. 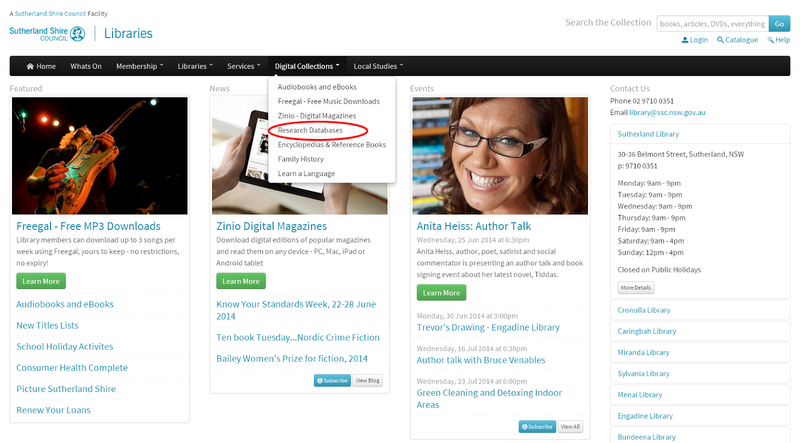 You will need to sign in using your library card to access the articles. Use the basic or advanced Search box. Tick the full text box and enter other limits to suit your needs such as a date range to get the most recent articles. The result page will give a short abstract of the article. The full text link that allows you to read the whole article is in the left hand corner of the screen. 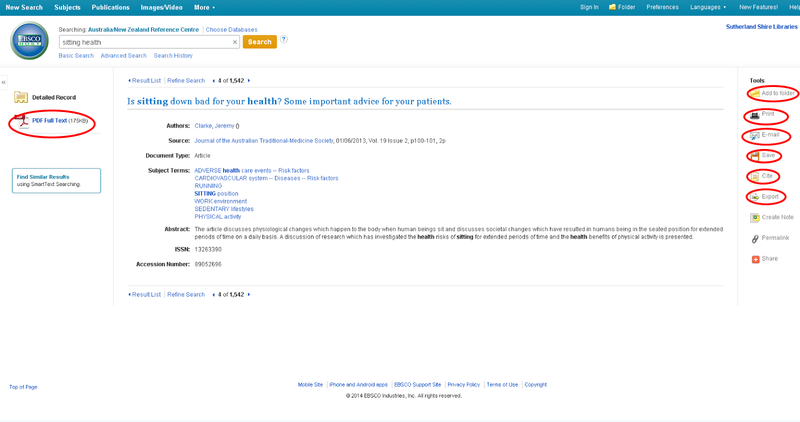 The results page has features such as print, email, save your results and other options to help you manage your articles. If you need help or would like to know more about online resources available contact Sutherland Library or ask staff at your library.